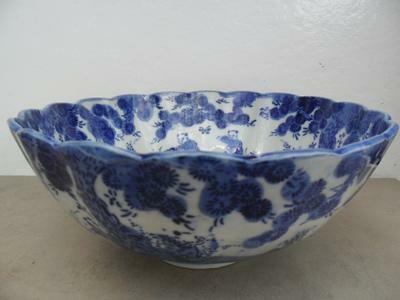 I have blue and white Chinese bowl. There is no mark on it. Please help me to identify this. Ping, don't get deceived by Chinese decorations. 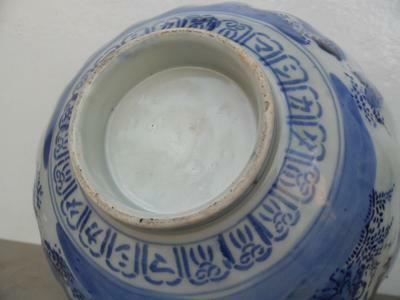 In earlier times the Japanese copied lots of Chinese motifs, and also some marks. 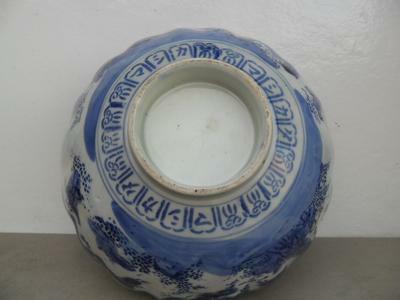 Some Europeans manufacturers also imitated Chinese decorations to a high degree. 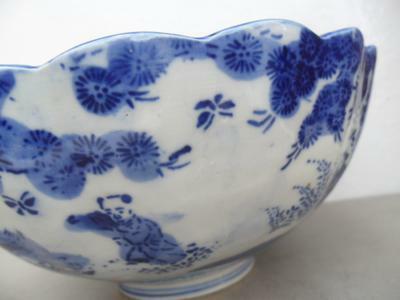 In the decoration along the bottom there are four Japapanese characters (マシカタ) reading 'mashikata'.